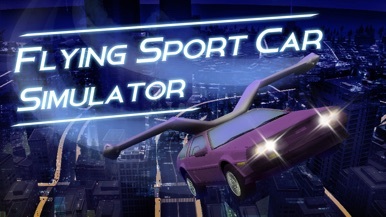 » Flying Sport Car Simulator 3D - Fly a futuristic super car! 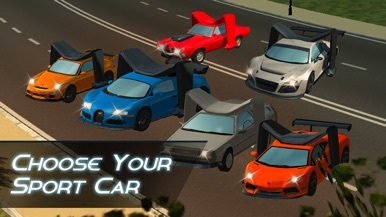 Flying Sport Car Simulator 3D is the best futuristic simulator for you! Fly right through red circles, but be accurate, don't crash! Transform your car into flying futuristic vehicle and enjoy. No asphalt, no traffic, just air. Earn money, upgrade flying cars, buy new futuristic models and try them. It is a real challenge for futuristic car fans! 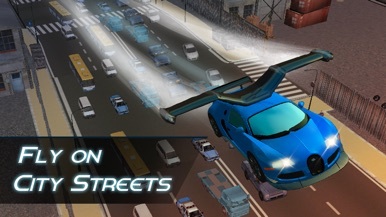 Find your own strategy how to drive any flying super car in the futuristic simulator. Start your engine right now and fly, pilot! 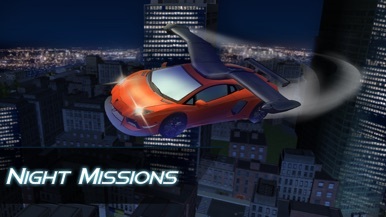 Try both simulator modes - fly missions and freeride. Train yourself how to drive a super car as a professional. Want to drive or fly in a flying futuristic car simulator? Be a pilot and driver at the same time. Test all your skills and abilities. This futuristic simulator is great! Who loves real airplane flying simulators will love the futuristic Flying Sport Car Simulator 3D! Perform best flight to collect maximum circles and be a flying car professional. Fly your futuristic car like an aeroplane! The safety of your flying car depends on you. Is not easy to fly in the futuristic super car simulator. But you can do it with our tutorial and smooth controls. Don't forget that you can drive too. But Flying Super Car Simulator 3D is not only about driving, it is more fun to fly here! Flying Sport Car Simulator 3D is the best, drive and have fun! The InTouch by Verso mobile app allows clients of Verso Financial Services exclusive access to their personal fund information. It allows them to view their fund values, access annual benefit statements as well as manage and update their contact details and beneficiaries, securely and easily from their mobile device. With this previewer app, you can see and test your mobile applications that you have created with Appgodo before publishing them. Bu uygulama ile, Appgodo ile oluşturduğunuz mobil uygulamaları yayına almadan görebilir, test edebilirsiniz. Download Flying Sport Car Simulator 3D - Fly a futuristic super car!